The Old Royal Naval College was built on the site of the Tudor Palace in Greenwich in which Henry VIII and Elizabeth I were born. William and Mary commissioned Sir Christopher Wren to design the present buildings in 1695 to house naval pensioners, and these became the Royal Naval College in 1873. 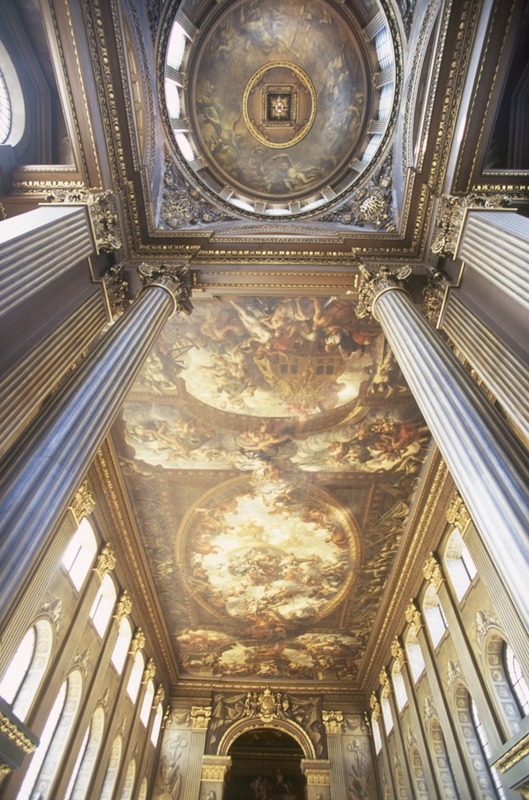 The Painted Hall, decorated by Sir James Thornhill, and the Chapel are especially worth visiting, both are open to the public daily from 10am to 5pm and entry is free. Do check for ad hoc closures, especially on Saturdays during the Summer (June to September) when the Painted Hall may close around 4pm for private functions. The Discover Greenwich Visitor Centre in the Grade II listed Pepys building opened to the public on 23rd March 2010 is a good starting point for exploring the Old Royal Naval College. As well as providing information on what to see in Greenwich there's a permanent exhibition spanning over 500 years of history, a gift shop and refreshments at The Old Brewery where you can enjoy beers brewed locally by Greenwich brewers Meantime. What are the best dining options near Old Royal Naval College London? Old Royal Naval College gyms, sporting activities, health & beauty and fitness. The best pubs near London Old Royal Naval College. Old Royal Naval College clubs, bars, cabaret nights, casinos and interesting nightlife. Where to have your meeting, conference, exhibition, private dining or training course near Old Royal Naval College. From cheap budget accommodation to luxury 5 star hotels see our special offers for Old Royal Naval College hotels, including Hilton London Canary Wharf Hotel from 88% off.